This photo, date and location is as yet unknown, and could be of a pub outing, the pub being called the "Railway something." However, it could be a pick-up from a railway station. 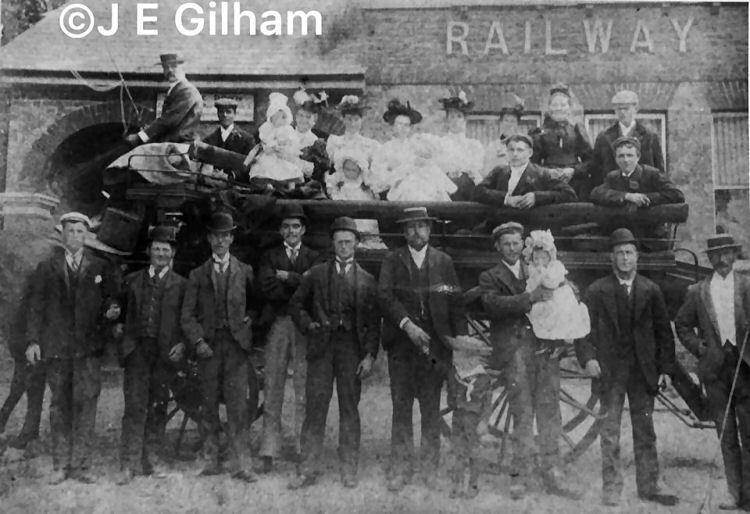 The photo is one from the J E Gilham collection which was primarily from around the Dover area. The two pubs I thought it could be are the "Railway Bell" of 17 Beach Street and Seven Star Street or the "Railway Inn" of 6-7 Hawksbury Street. But none appear to be correct. Alan Goodwin suggests that it may be the "Railway Bell" of Kearsney, before alterations were made in 1900.